非常容易使用。它到处都有好的信号！而且，事先通过模拟方法非常方便，只需在机场接机即可。注意：您不可以在机场外购买，因为他们只在该城市出售最少30天。 Very easy to use. It has good signal everywhere! And it’s really convenient to by a sim in advance and simply pick it up in the airport. Note: you are not allowed to buy this outside the airport, as they only sell 30day minimum in the city. 柜台很容易找到，工作人员很友善，乐于助人。在一次扫描中，我得到了10天的SIM卡。它有3种尺寸可供选择。即刻，您可以访问4g网络，在旅行时您将需要defo。好。 The counter is easy to locate, and the staff is friendly and helpful. In just a scan, I got my 10 days sim card. it's available in all 3 sizes. instantly, you get access to 4g network that you'll defo need while travelling around. good. 在机场外轻松收集。整个TW的连接良好，数据无限。强烈推荐那些无法上网的人！ Easy collection right outside airport. Good connectivity throughout TW, with unlimited data. Strongly recommend for those who cant live without internet! 容易兑换票。一旦我们从习俗中出来，柜台就位于到达大厅的左侧。接待在清境草原也是好的。 easy to redeem the ticket. 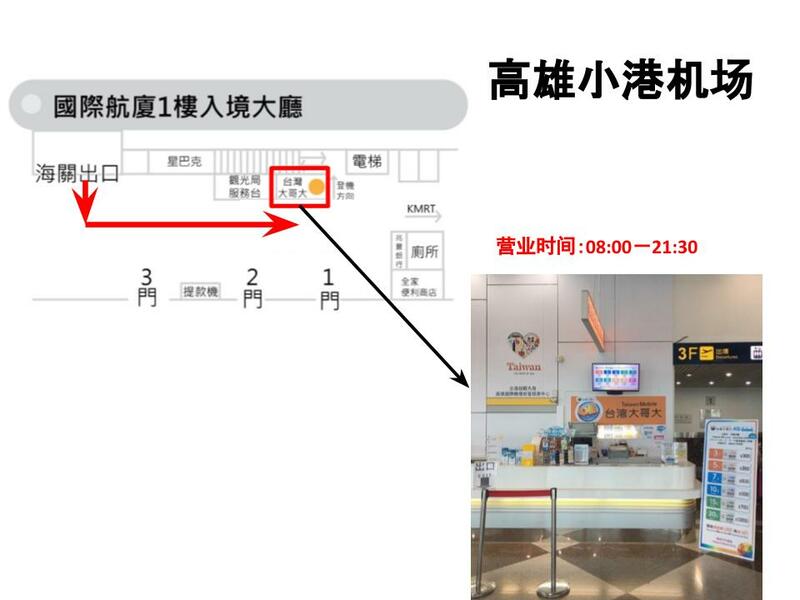 the counter is located on the left handside of the arrival hall once we come out from custom. reception was good even in qing jing grassland.